He held very strange theories about a good many things. He had even got up once at the British Association, and declared that apes had hippopotamus majors in their brains just as men have. Which was a shocking thing to say; for, if it were so, what would become of the faith, hope, and charity of immortal millions? Though really, after all, it don’t much matter; because—as Lord Dundreary and others would put it—nobody but men have hippopotamuses in their brains; so, if a hippopotamus was discovered in an ape’s brain, why it would not be one, you know, but something else. 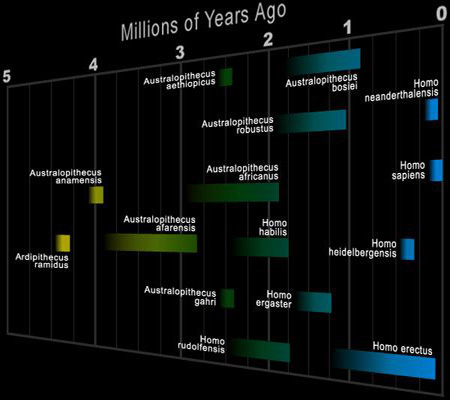 Though Owen adhered to his own idiosyncratic evolutionary theories, he scoffed at Darwin’s suggestion that humans shared a common evolutionary history with primates. 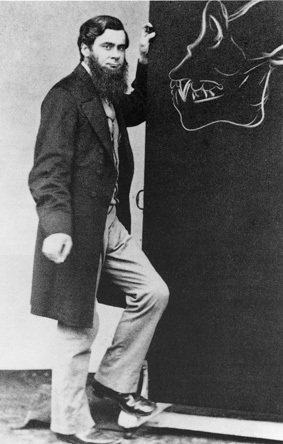 To prove the anatomical singularity of humans, the great anatomist conducted a detailed study of human and primate brains and asserted that the absence in apes of certain structures in apes, the posterior cornu and hippocampus minor, set humans clearly apart from primates. 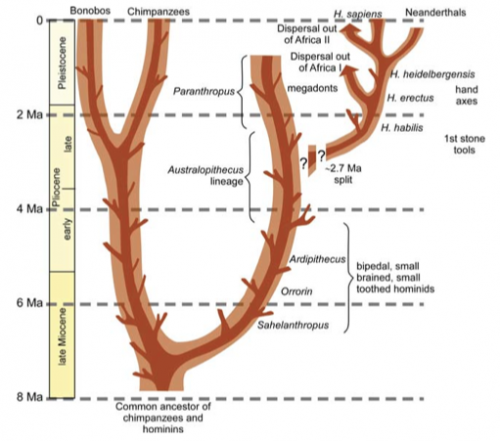 Apes are Old World anthropoid mammals, more specifically a clade of tailless catarrhine primates, belonging to the biological superfamily Hominoidea. Last time I looked, I was also a tailless catarrhine primate, so that makes me an ape as well. While I don’t entirely agree with Hawks–in fact I’m on record engaging in just the kind of misguided pedantry that Hawks deplores–he does make some good points. Hawks reminds us that there is no rule that vernacular names need to refer to monophyletic clades or formally recognized systematic groups. 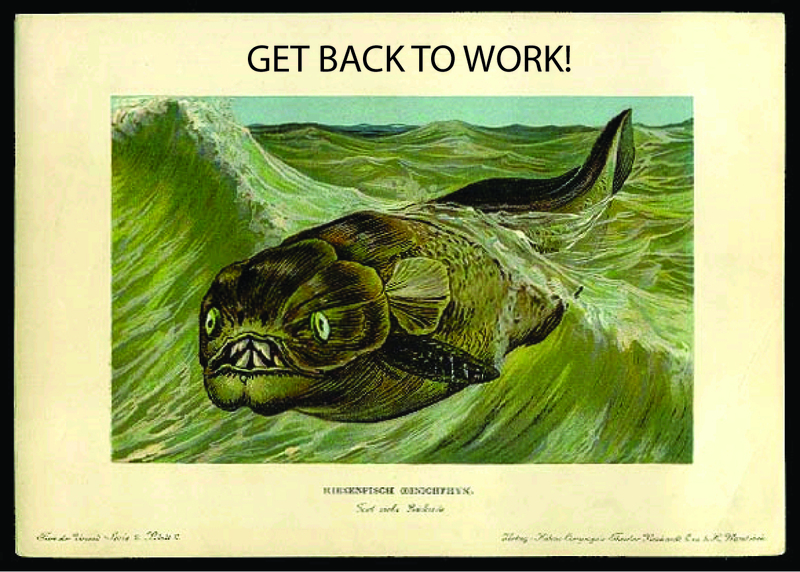 Evolutionary biologists that try to insist otherwise against popular usuage are swimming upstream at best, and at worst are probably reinforcing some negative stereotypes of scientists as out-of-touch type-A killjoys. 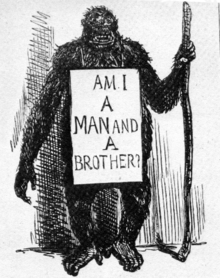 Setting aside for the moment the question of whose definition of “ape” is the correct one, it’s interesting to see the tension that arises when biological nomenclature and the popular vernacular converge and diverge. During this holy season of Lent we can all relate to the devout souls that happily fry up beaver tail and muskrat on Fridays, assured by the Vatican that beavers and muskrats are “fish” and not “meat.” And lest we think such distinctions are merely academic (or parochial), D. Graham Burnett’s Trying Leviathan describes how the question of whether or not whales are “fish” for tax purposes landed in a New York court in the 19th Century. Of course, every fifth-grader learns that whales are not fish, but mammals. That is, until they get to my history of life class and they have to wrap their heads around the mind-boggling fact that whales are in fact “fish” in the most phylogenetically rigorous sense of the term, just as much as you or an elephant or a trout is. 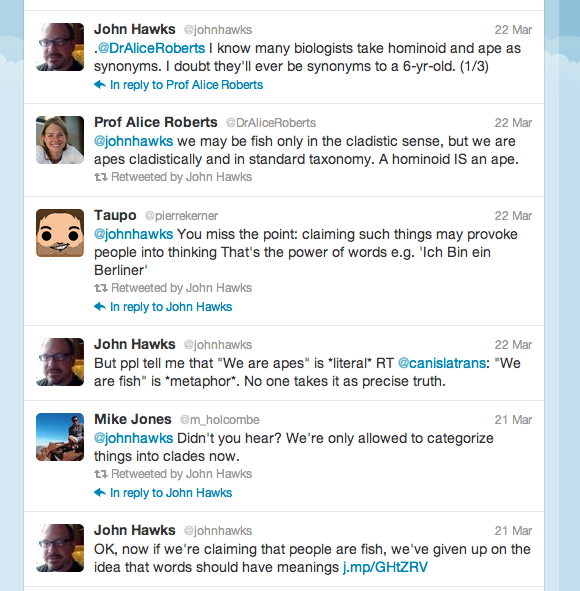 But elsewhere in his post Hawks belies that he in fact has his own taxonomically rigid view of what an “ape” and “monkey” properly are, it’s just that his taxonomy is not beholden to cladistic fashions. 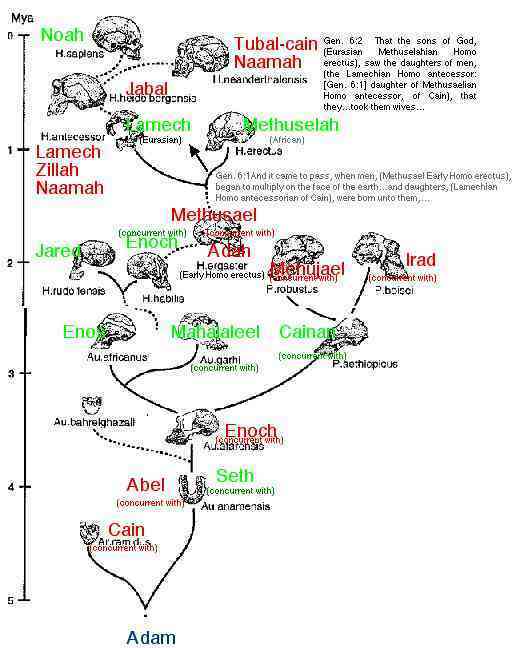 However, Hawks’ favored “correct” definitions for “ape” and “monkey” are actually rather modern constructions. 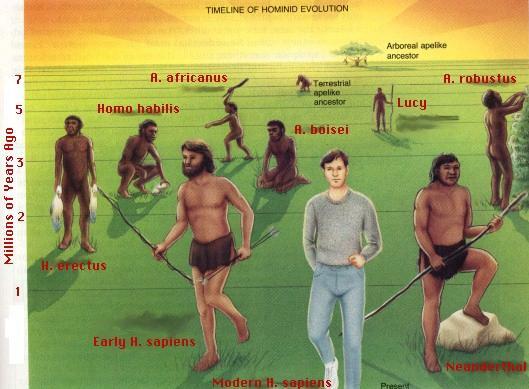 Long before hominoids were known to the English-speaking world “Ape” was a catchall word used for all primates, until “monkey” came into use around the 16th Century. The two were used rather interchangeably until “ape” began to be restricted to tail-less primates during the 18th Century. Even still, “ape” continued to encompass some tail-deficient primates such as the “Barbary ape,” a macaque that is “properly” now regarded as a monkey and not an ape. If the zoos themselves aren’t consistent I don’t know how we can expect the awful parents to get it right. The fluid historical meanings of “monkey” and “ape” might be taken as evidence that vernacular taxonomies are inherently arbitrary. But in fact the etymological history reveals that as biological knowledge develops and increases, the vernacular language often changes to reflect. It was naturalists and biologists that emphasized the distinction between monkeys and apes and their taxonomy filtered into the public vocabulary, and eventually to Hawks and his children. 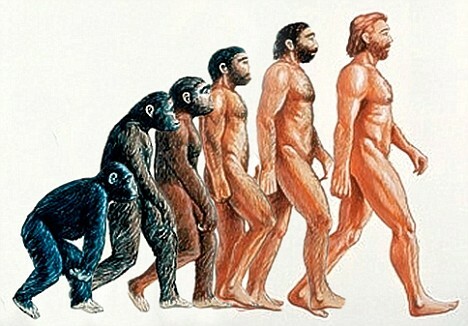 I don’t really think that nudging the English words “ape” and “monkey” into monophyletic compliance, with humans as apes and apes (including humans) as monkeys, is really a political tactic to demote humans. 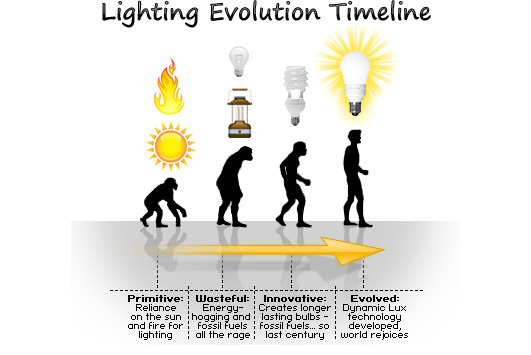 Rather I see it as a conversational tactic to promote evolutionary thinking. That seems to have been Huxley’s intent to convince the curious public that packed his lecture halls. Bug” is a common name. What’s more, it is a common name for both the lay public and for insect specialists. That it refers to different organisms in the two cultural contexts does not change the fact that it is vernacular in both spheres. Common names are particular to individual cultures and local contexts. That is their point. The beauty of common names is their fluidity. 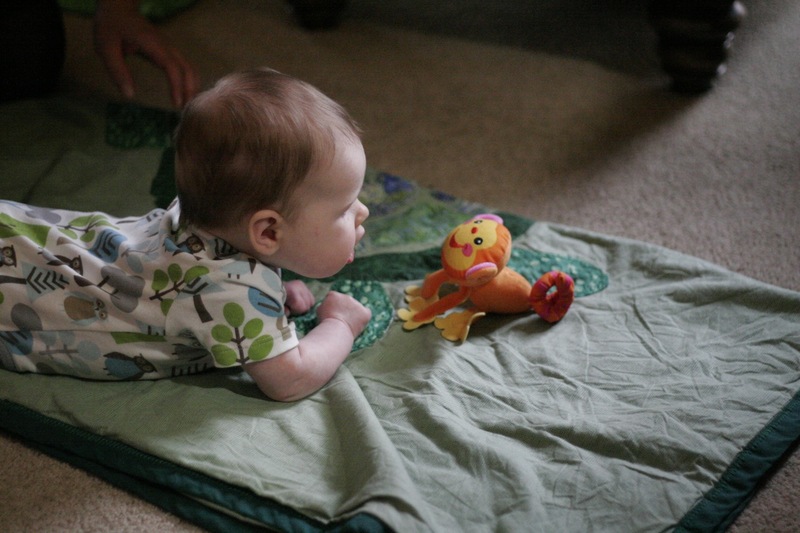 They are dynamic, ever-changing, adaptable. Vocabularies arise to suit people’s needs. Entomologists find a narrow meaning for Bug useful. Non-entomologists don’t. And that is fine. The “traditional” senses of “ape” or “monkey” are not necessarily wrong, but neither should we try to restrict alternative uses. If Hawks still finds the old paraphyletic senses useful, far be it from me to try to exclude them. Me, I’m on team Huxley. 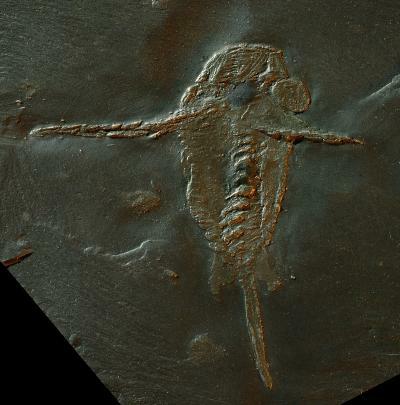 Since its original description six months ago, the fossil lobopod Diania has become one of the most celebrated fossils of all time, inspiring everything from elaborate back tattoos to a trendy sportswear line. This beloved “walking cactus” was championed by scientists as a key player in the origin of the most diverse and successful group of living animals. But startling new research suggests that this icon of evolution, this upstart URthropod, was in fact nothing more than an ordinary lobopod with bad skin. 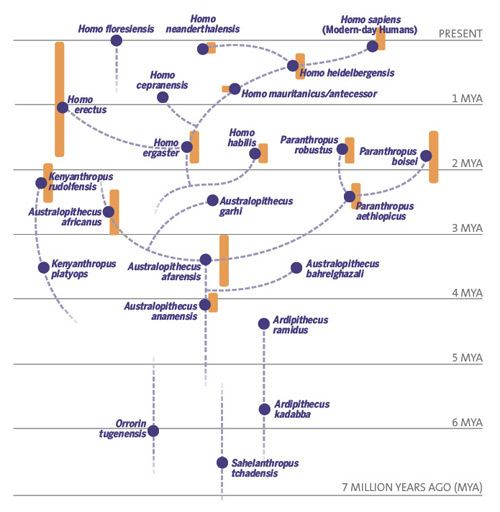 In a series of brief communications published this week in Nature, two groups present revised analyses of the evolutionary relationships among 520 million year old fossil and its presumed relatives including euarthropods (e.g. insects, arachnids and crustaceans), anomalocaridids, velvet worms, water bears, and a variety of extinct stem-arthropods and lobopods, like the bizarre Hallucigenia. 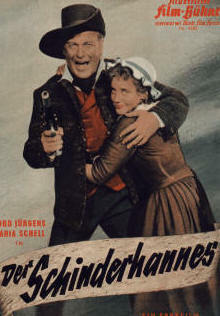 The phylogenetic analysis presented with the original description of Diania by Liu and colleagues found the creature to be closely related to a clade that included living arthropods and the outlaw Bavarian folk hero Schinderhannes, this result, coupled with the armored covered legs of Diania, was taken as an important clue to the origins of the stiff, jointed-appendages that are a hallmark of true arthropods. However, the new reappraisals find Diania several nodes further removed from arthropod origins, mucking around in a polytomy that includes the tardigrades, onychophorans and extinct lobopodians. If these results are correct, it implies that the armored limbs of Diania are likely irrelevant to the origin of hardened jointed legs among arthropods. 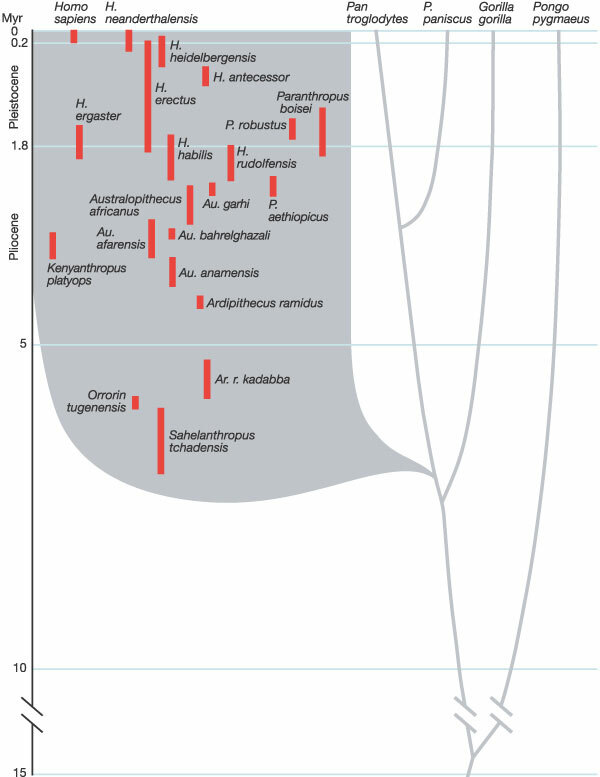 In a reply, Liu and company concede the tenuous placement of Diania in the family tree of arthropods and their relatives, but provide some additional support for their original interpretation and argue that further study is required to resolve the debate. 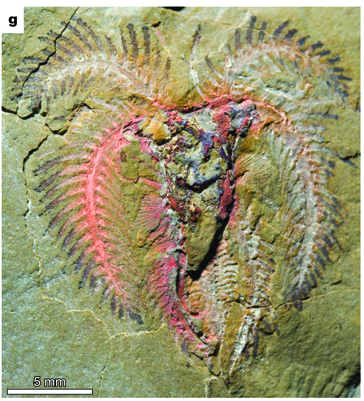 Surely, the question of whether Diania is a close relative of arthropods or not will continue to rock the paleontological community for years to come. Don’t know that I would trust him to give my kids a ride to school…. In a surprising move, the extinct archosaur Hypselorhachis filed an unprecedented post-mortem lawsuit against the National Geographic Society on Friday. The enigmatic Triassic reptile was offended by being mistakenly labeled a “dinosaur” in an article that appeared on the National Geographic Website earlier this week (“Dinosaurs Ten Million Years Older Than Thought” March, 3, 2010 National Geographic News). The focus of the article was the recent description of another non-dinosaur, Asilisaurus, a close dinosaur relative in the latest issue of the scientific journal Nature (Nesbitt et al. 2010 “Ecologically distinct dinosaurian sister group shows early diversification of Ornithodira” Nature 464, 95-98 | doi:10.1038/nature08718). In spite of the rivalry, Dimetrodon defends the merits of the lawsuit. 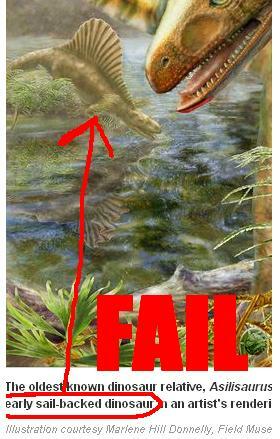 “As a frequent victim of false-dinosaur defamation, I wholeheartedly support Hypselorhachis on this one. We non-dinosaurs have to stick together.” Dimetrodon says that it will donate the proceeds from sales of its popular T-shirt to the Hypselorhachis legal defense fund. Several pterosaurs and marine reptiles have also voiced their support for Hypselorhachis. National Geographic was not available for comment. I meant to write about this when it was news. Now it’s olds, which suits me fine. Copy of Pearce's restoration of Belemnotheutis, re-drawn by Colin Stuart from Donovan and Crane (1992). I. The drawing above is of the extinct Jurassic cephalopod Belemnotheutis antiquus. 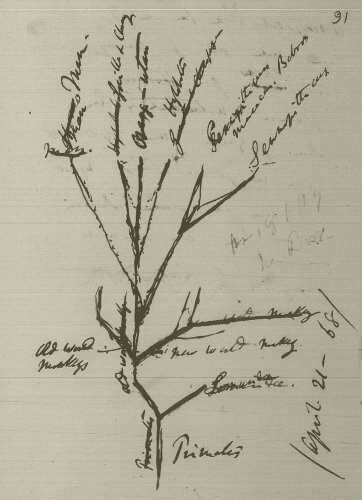 In fact, it’s a fairly exact replica of a drawing made by Joseph Chaning Pearce who first named the genus in 1842 (shown at left). 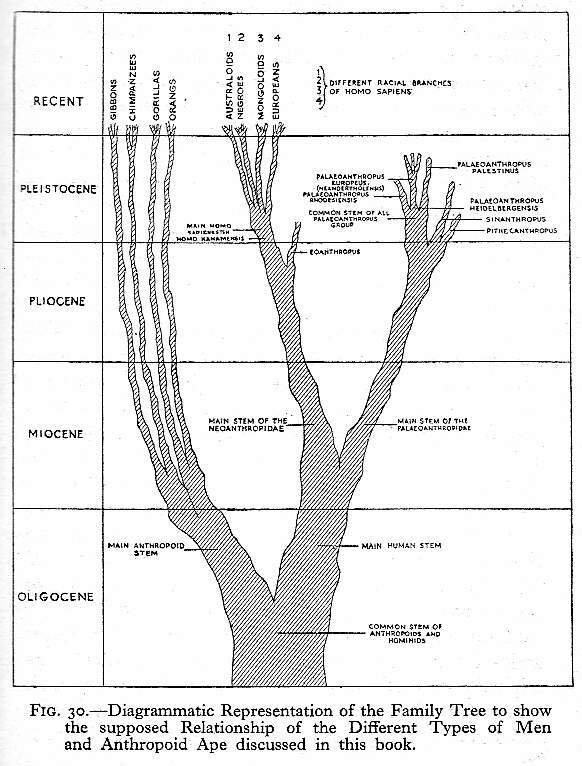 Pearce may have intended to name the fossil Belemnoteuthis (teuthis=Gr. squid as in teuthology study of cephalopods), or he may have intentionally used a variant spelling. Either way, Donovan and Crane 1992[pdf] argue that the original published spelling should stand according to the rules of taxonomic nomenclature. Historically, Belemnoteuthis(sic) has been widely used and Richard Cowen has described Pearce’s original spelling as “barbarism.” Nevertheless there it stands: a possible typo enshrined into taxonomic priority. II. Engineering icon Isambard Kingdom Brunel, was the vision behind the construction of the Great Western Railway which linked London by rail to south west England (including the Jurassic Coast) and Wales during the 1830s and 40s. Around 1840, rail workers constructing a line near the village of Christian Malford stumbled across incredibly well preserved fossils some of which were collected and studied by Pearce. The site was eventually flooded and forgotten for more than a century and a half before it was rediscovered by British scientists just a few years ago. III. Which, the focus on all those new reports about that featured this drawing wasn’t mainly on the historical quirks surrounding the image or name at all but concerned instead the historical quirks surrounding the origin of the ink which is: FREAKING BELEMNITE INK! 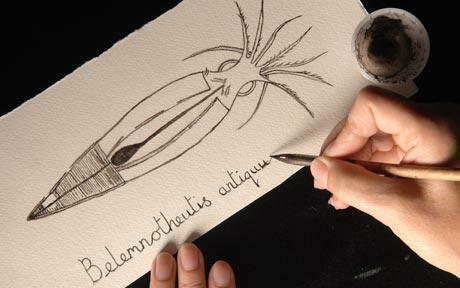 Ink from a well-preserved Belemnotheutis, dead for 165 million years or so, was reconstituted and used to draw a copy of one of Pearce’s original drawings. IV. 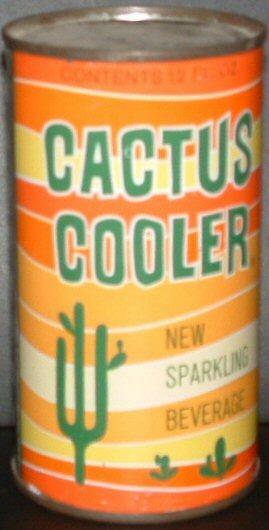 Which is really cool, but not nearly as unique as you might expect. 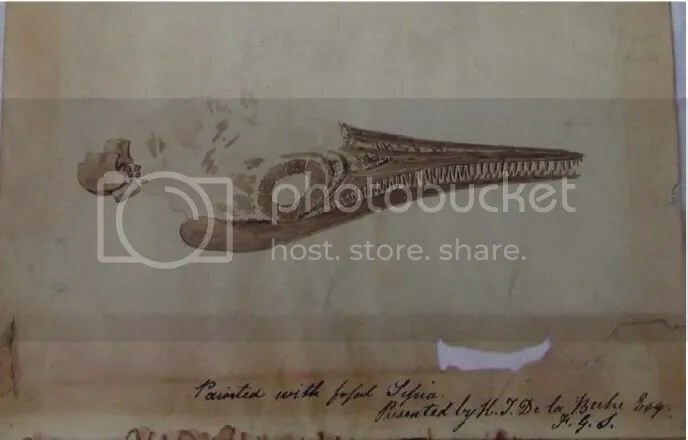 Joel Segal Books Blog does a nice job of putting fossil cephalopod ink into proper historical context, borrowing an image from my sidebar, a painting of Ichthyosaurus made by Henry De la Beche in 1834 using FREAKING BELEMNITE INK! Preserved ink sacs of fossil cephalopods - from William Buckland's Geology and Mineralogy with respect to Natural Theology (1836). Elizabeth Philpot, the often forgotten friend and associate of Mary Anning who is a central character in Tracy Cevalier’s recently published novel Remarkable Creatures, is also said to have painted with “fossil sepia” and sometimes credited with being the first to do so. Other enterprising residents of Lyme are said to have followed suit painting in an effort to cater to the burgeoning tourist industry fueled by Victorian fossil fever and the construction of the Great Western Railway. 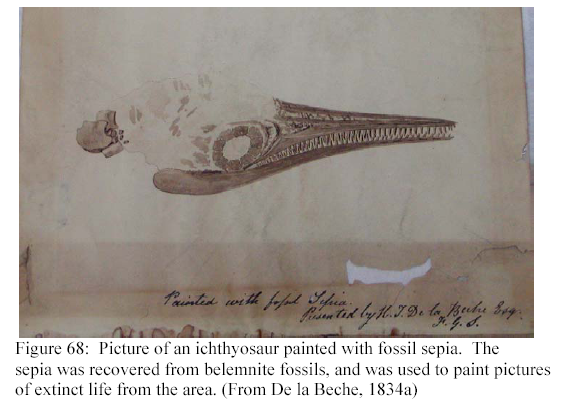 I’m not sure whether any of the illustrations made by Chantrey, Philpot or their followers have survived, I haven’t been able to turn any up aside from De la Beche’s ichthyosaur. Unlike the De la Beche drawing, other vintage fossil ink works might not be clearly labeled as such and could easily be sitting in a private collection or a museum forgotten and unrecognized. Philpot’s or Chantrey’s original works, most likely long gone, would be priceless historical gems of the finest order. VI. Pigments, paints, dyes and inks come either from dead organisms or minerals, and so all have some biological or geological story to tell. The case at hand straddles both categories, which seems unique until you remember the ubiquity of “synthetic” inks distilled from petroleum that is the remnants of marine organisms, dead and buried for millions of years. That might include some of the ink used to run the Belemnotheutis newspaper stories, unless British newspaper printers have all switched to soy-based inks like their U.S. counterparts. Your keyboard and mouse are probably made from sea animals. If you print this post out (which I can’t imagine why but just go with me here) the ink you use, and perhaps the energy to do it, are quite possibly the byproducts of long dead phytoplankton. VII. And as long as we’re talking autochthonous/authigenic art, I have to mention Matt Celeskey’s work with 200+ million year old Triassic charcoal. Matt, in turn, turned me on to Alexis Rockman whose “field drawings” use site-specific pigments themed around of both living and fossil ecosystems ranging from the Burgess Shale and La Brea Tar Pits to Fresh Kills landfill. VIII. Here then for almost no reason except that I like the picture is Brunel, posed beside the launching chains of the SS Great Eastern, whom Brunel affectionately called the “Great Babe.” The ship will experience a steam explosion, killing 5, before being repaired, sent across the Atlantic as a passenger vessel half-a-dozen times nearly sinking once before being converted to cable laying ship and laying the first Trans-Atlantic telegraph cable, later converted into a floating music hall and promotional gimmick and eventually broken up and sold for scrap. Which has nothing to do with anything. Like I said, I just like the picture. And if you made it this far without being tempted by at least one of those hyperlinks, I can’t help you.